This week is a first and a third! 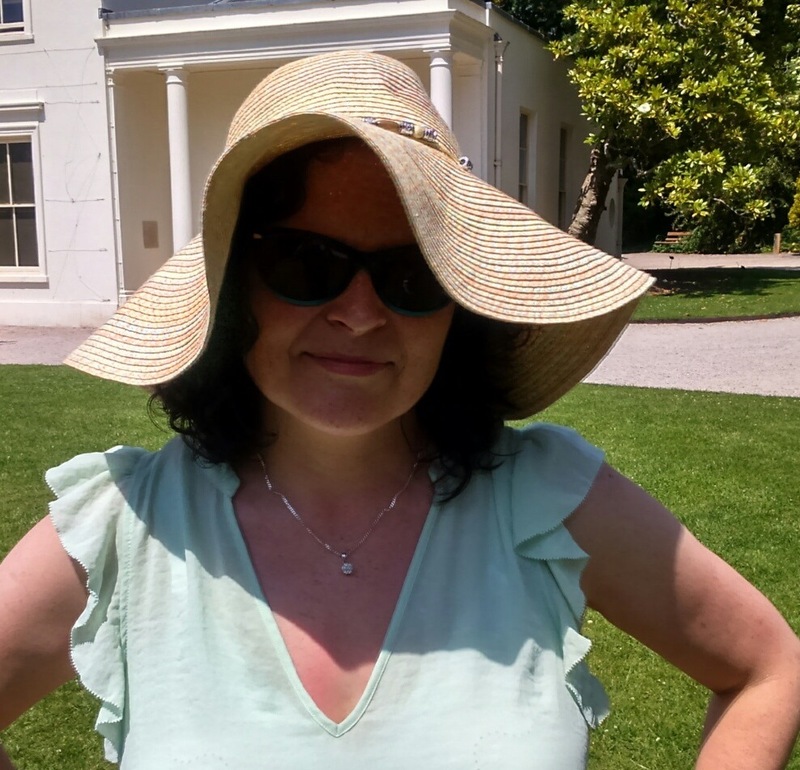 I’m really delighted to welcome Louise Walters as the first author ever to appear on the Literary Sofa three times (links to her previous posts are included below). Louise has been a loyal supporter of the blog since it started over six years ago, we have got to know each other in real life and followed each other’s writing careers. Last year we both ventured into self-publishing but since then Louise has taken the exciting and ambitious step of starting her own imprint, Louise Walters Books. I started work on the novel that would later become The Road to California in 2006. It was inspired by my relationship with my then eleven year old son, who had recently been diagnosed with Asperger’s Syndrome/High Functioning Autism. I wrote the first draft intending it to be a novel for children. But it became obvious that this wasn’t a novel for children at all. The mother, Joanna, had too much to say and was quite pushy about saying it! I became side-tracked by another novel for a few years, Mrs Sinclair’s Suitcase, and then my second husband and I decided to have children. Zipping forward a few years, and Mrs Sinclair’s Suitcase had a book deal, and I had two more kids. It was time to write another novel. I didn’t have TIME to write another novel. It seemed the obvious thing to do was to retrieve my first attempt from the metaphorical bottom drawer, and work on that again. Joanna’s voice was still quite dominant, but this time around I felt her son, Ryan, was more vocal, more insistent. He was also older. It felt like these characters, while “untouched” by me for several years, had grown and developed and needed a “new” story. Disaster! I got a few thousand words in, and realised it wasn’t “true”. The voices weren’t right, especially Ryan’s. So once again, the novel was consigned to the bottom drawer, while I turned to a new project, A Life Between Us. Fast forward another couple of years. I had two novels “out”. One trade published, one self-published. I had by now decided to publish other authors, and I was slowly setting up my imprint Louise Walters Books. I knew I wanted to bring out a novel of my own first, to get all the rookie errors out of the way. But I still had no time to start a new project. So there was only one candidate, and out it came. I opened up the document; read it; changed the title; gave it a good edit. I got it critiqued. There was a lot not quite working. Chief among the problems was voice, and point of view. I had too many voices and POVs. They needed narrowing down, tightening up. So I decided to stick to just two POVs almost throughout and these realistically had to be my main players, Joanna and her son Ryan. Ryan’s voice was, I felt, crucial to this novel. I had to “get it right”. Young voices are notoriously hard to write. But are they really? I actually don’t think so. We’ve all been children, some of us know children, some of us work with children, some of us have children of our own. I agonised for a while, wondering if Ryan’s voice was “right”. Then it dawned on me that in any novel, ever, written for adults but with important, centre-stage young characters, there are always opposing opinions. One goes like this: “I felt the author captured Child X’s voice perfectly”. The other goes like this: “I felt the author did a poor job of capturing Child X’s voice”. The same book, the same character, and two utterly polar opinions. Adult voices in fiction don’t seem to polarise opinion in quite the same way… although I think much older voices are also subjected to this level of scrutiny. It seems to be a thing to lump certain age groups in to one “recognisable” bunch. After I’d figured this out, once I’d had my light bulb moment, I stopped worrying about Ryan’s “young” voice. He’s a character, like any other; he’s my character, made up by me, and I know EXACTLY how he sounds. He sounds like Ryan, and that’s it. Readers either will or won’t believe in his voice. There is nothing I can do about that. I can only be true to my characters as I see and hear them, and get their words on the page. Ryan is on the autistic spectrum, and I think that adds another layer of complication where his “voice” is concerned. Ryan’s autism, although apparent throughout the novel, is only mentioned and made explicit at the very end. His autism doesn’t define him, and I was keen for it not to. Autistic people of any age are not a homogenous group, and I don’t like writing about “issues” in my work. I like writing about characters. Naturally, I have had a review where the reader felt I didn’t do a good job with Ryan. She works with autistic kids. “But you don’t work with Ryan,” was my muttered response after reading the review. Then I got over it. Such is the lot of the writer. We can never, ever convince every reader of the “truth” in our characters’ voices, whether young, old, or even in between. We, rightfully, have no control over our readers’ expectations and experience. All we can do is believe in our characters, trust in their voices, and let them speak. Thank you very much, Louise – another great contribution and discussion opener – we’d both love to hear your views and experiences. It takes a lot of confidence and drive to put work out at your own expense and without intermediaries and Louise Walters’ belief in her own storytelling ability is well-founded. Of the three novels she has released via three different routes, the only constant is the quality. Fans of Mrs Sinclair’s Suitcase and A Life Between Us will find the warmth, eloquence, and understanding of human nature her readers can now count on in this poignant and refreshingly unfamiliar story of an unconventional family in a period of crisis. As an aside, and picking up on a few of the general points Louise raises above, good fiction is dependent on characters who feel like real people, not archetypes, which is why writers can’t afford to get too hung up on how readers might respond – they are not a homogeneous group either! Personally I’m never inclined to take the portrayal of an individual with a particular identity as part of their make-up – in this case, age and autism, although it could be anything: religion, sexuality, race – as representative of that whole group and I doubt that would often be the author’s intention. 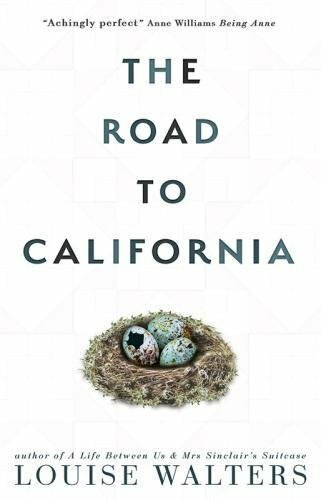 Anyway, this simply didn’t arise on reading The Road to California – the characters are defined by who they are and how they navigate the obstacles they face, not by labels or ‘issues’, and that comes from the author’s ability to capture them from the inside. Joanna and Ryan convinced me, as did their relationship; that is what made me feel for them and why they have stayed with me. (I read the book months ago and didn’t need to return to it to write this review.) Whilst in places the story was a bit feelgood for my taste, overall it doesn’t shy from the dark or difficult aspects of adolescence, motherhood or life in general. It packs a punch that’s almost physical – at one point I was so overcome with emotion that I had to put the book down to catch my breath. It’s a story I recommend to anyone who enjoys insights into family life and emotional ties. Next week I will be hosting Vicky Newham, author of crime debut Turn A Blind Eye, who will be discussing the related hot topic of writing across boundaries of personal identity. Very interesting guest post. I learned that one almost needs to become a child (again) in order to create the voice a child incapsulates when writing a minor as a character. Great article! !